Nightlife is not something that pops when one thinks about Agra but the city takes that in stride. They’ve got some heavenly places including a few of them that overlook the Taj Mahal. 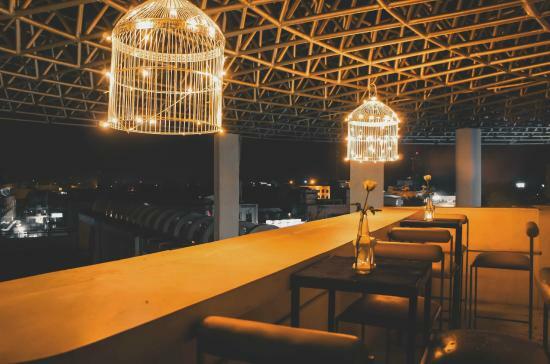 Check out some of these delights that we picked out and according to us, define nightlife in Agra. This is the arena for live music in Agra. This place just lights up in the evening. They’ve got one of the best views in the city and indoor seating post 5 o’clock is just not an option. Their chairs glow in different colours, live barbeque and a gorgeous pool side are some of their USPs. Located in the ever so glamorous Radison Blu, if you ever find yourself wondering where to drown your worries in alcohol then this is the place to be. It’s one of the most exquisite bars in the city and it lives up to that standard. The drinks are reasonably priced and their finger food to go along with your drink is their forte. A vibrant place to spend your saturday night at, Rush has an amazing ambiance with their lights and decor to along with it. If you’re in the mood for hookah then you should definitely try it here. Other than that they’ve got a wonderful chinese & continental cuisine and the music is soothing. Location: TDI Mall, Fatehabad Road, Tajganj, Agra. A good experience awaits you as soon as you enter this place. There’s a wave of positivity about it. Sheroes has a beautiful decor with gorgeous paintings to go with. It’s like a library/leisure portal/ cafe, it has an abundance of books arranged properly for you to read and food here is delectable. A nice little place run by acid attack survivors, it truly is an amazing concept. Hands down the best place to hit if you love Indian food and rejoice in their desi delicacies. Esphahan lives up to the Oberoi name. They have an opulent yet charming ambiance puts you in a good mood as soon as you walk in. The food and their service as as perfect as it gets. If you feel like drinking and winding down while being wrapped around the 5 star experience then head over to The Bar at The Oberoi Amarvilas. 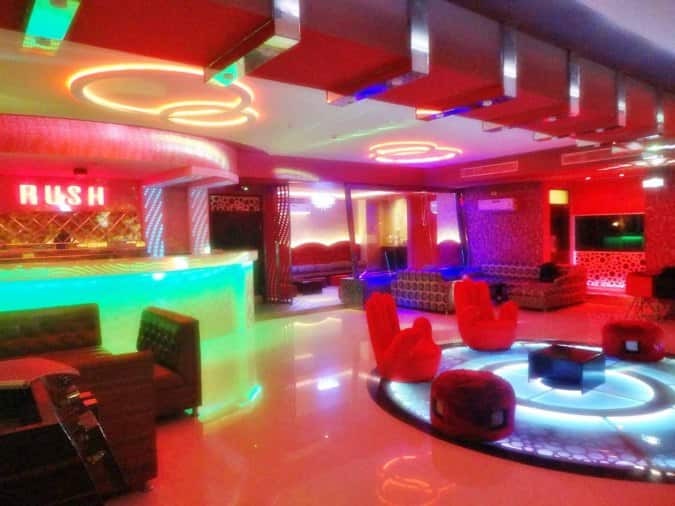 A delightful experience at this luxurious bar is garunteed. You can come aboard the terrace where you can have a drink while basking upon the Taj Mahal. 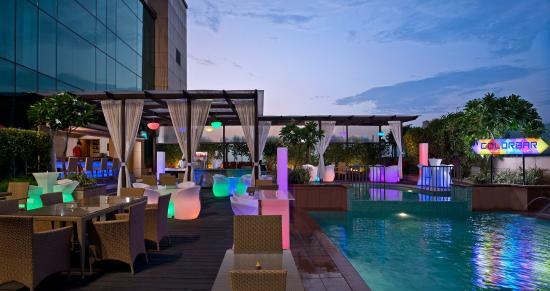 Located on the ground floor of The Oberoi Amarvilas, The Lounge is one of the best installments in Agra’s nightlife. It’s a brightly lit spot pursuant to a crystal chandelier that plays along with the mughal vibes this place gives off. The upholstery is outstanding and everything is tastefully decorated. Perfect spot to just sit on your table and pound whiskey in the evening and brunch in the afternoon. 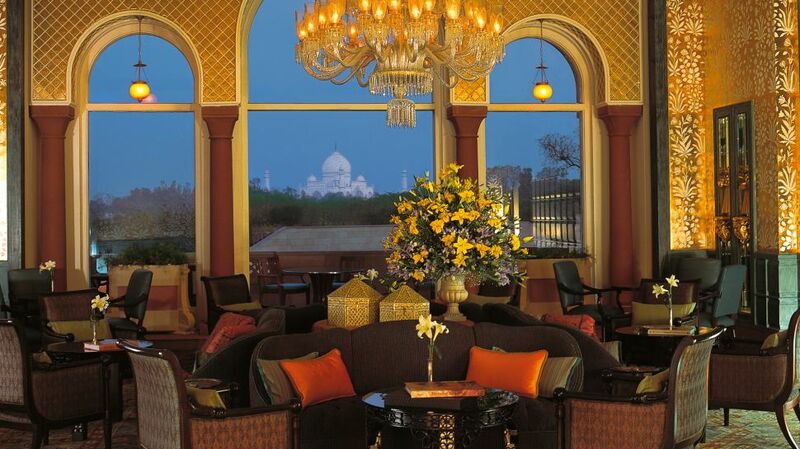 Location:The Oberoi Amarvilas, Taj East Gate Road, Near Taj Mahal, Agra. One of the most scintillating places in Agra with a stunning decor and lighting to go along with, the view here is glorious be it morning, noon or night. A quintessential place to take out that special someone. The food is great and the ambiance doesn’t disappoint one bit. Location: Hotel Howard Plaza, Fatehabad Road, Tajganj, Agra.